The Scottish government has been thwarted in its attempts to outline concerns about plans it says threaten the historic independence of Scots law. Changes to the Scotland Bill could allow the UK Supreme Court to hear appeals in Scottish criminal cases. Scotland's external affairs minister was to address Westminster's Scottish Affairs committee about the issue. But the committee's Labour chairman said it would only hear legal elements of the bill after Scottish elections. The UK government has insisted that proposed amendments to the Scotland Bill would not offer the general right of appeal to a UK court in Scottish cases. Scotland has been guaranteed an independent legal system since the Act of Union in 1707. Historically there has been no right of appeal to UK courts in Scottish criminal cases. The issue arose after the UK government drafted a new clause on the role of the Supreme Court to the Scotland Bill, which sets out the terms of devolved government. External affairs minister Fiona Hyslop accused Westminster of a "serial undermining of the Scottish justice system" over the issue. 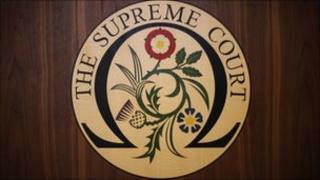 At present the Supreme Court is able to rule on cases where Scots law conflicts with human rights legislation. Lord Wallace, the advocate general, who represents the UK government in Scottish legal matters, has called for the London-based court to be able to hear other appeals too. Lord Wallace, a former Scottish justice secretary and deputy first minister, is yet to publish details of his proposals but has insisted there is no question of a general right of appeal in Scottish criminal cases passing to the UK court. However, the SNP has warned draft clauses suggest Lord Wallace wants the Supreme Court to be the ultimate court in Scotland. After the committee meeting, Ms Hyslop said: "I am concerned about the threat to the independence of Scots Law and therefore against any amendment creating a new system of appeal from the High Court in Edinburgh to the Supreme Court in London. "This would result in a layer of appeal that is unnecessary, and could put victims in Scotland at a disadvantage. "These proposals would perpetuate, and possibly worsen, a situation in which Scotland has more onerous obligations to meet the requirements of ECHR than England and Wales." A spokesman for the advocate general said the draft plans would be subject to scrutiny in both the Commons and the Lords.